Politicans here get livid whenever some fool flies the Panamanian flag backwards. The indignation does not extend to the use of Panama’s flag to promote dubious financial propositions. Last year a private investigator in Arizona for whom I had worked before hired me to look into an apparently Panama-connected organized crime story. I put time and money into the search, for which the guy never paid me. But chalk it up as a learning experience, and one that becomes relevant in the background as the Panama Papers scandals involved. The complaint was that a client claimed to have been swindled by online currency trading companies, the two in particular being called iForex and bForex, both with a Panama connection, apparently connected to one another, both present in many countries and rumored to have a shadowy Israeli overlord in charge. Well, OK. First acknowledge and set aside my political biases. I have been a supporter of the cause of an independent Palestinian state for all of my adult life and am a much stronger critic of the Israeli occupation of Palestinian lands than is generally acceptable in the world of US politics. There are folks who say that this makes me some sort of Nazi. It doesn’t, but if I am going to do honest work I really do need to look at things as they come up and avoid playing “gotcha” with Israel, let alone run a research pogrom against Jews. I never did find a big boss man, Israeli or otherwise. Or maybe I did run across such a person, but could not get the definitive goods that would allow me to ethically identify him or her as such. It appears that the forex racket is disreputable in Israeli popular culture and subject to increasingly severe regulations in Israel. Time and again the trails of my searches from various angles would lead to Eastern Europe, Russia itself, or to Russian emigre mobsters. A lot of these trails also went through Spain, particularly Barcelona, where Russian gangsters are part of the criminal underworld. The Russian Mob is multi-ethnic, but does reputedly control much of Israel’s organized crime. The thing is, it’s a misnomer to talk about THE Russian Mob. The phenomenon may be consolidating, but it spread far and wide as the Soviet Union was falling, was fragmented in Russia and its empire from the start and atomized as it spread to other places. (We have Russian mobsters here in Panama and they have taken over much of the prostitution and human trafficking rackets.) Talking about a singular Russian Mob would be analogous to talking about a singular Latin American Drug Cartel — or for that matter, a singular Panamanian legal enterprise that sets up money laundering shells. In each case the reality is scenes in which distinct players rise, fall, merge, split, compete and cooperate, many of which players would like to be the big boss man and some of whom delude themselves into believing that they are such. Back to the corporate paper trail: are iForex and bForex the same thing? I found some people who had those companies in common — certain cutouts working at Panamanian law firms and certain salespeople representing themselves online as working from a number of different countries stand out — but I never saw an organizational chart connecting the two, nor could I compile the information to truthfully construct such a thing. However, there is a bigger problem with looking up international companies in Panama. Here you can register a company with the same name as a famous or obscure company elsewhere. In most jurisdictions this is not allowed because it lends itself to fraud and is itself a form of identity theft. Tell that to the Registro Publico. The so-called “mirror companies” that are allowed in Panama are sometimes even used to run frauds within Panama — a bogus outfit calling run by Canadians and calling itself “London Asset Management” in imitation of the more established “Royal London Asset Management” stole more than $1 million from Canadian and American expats here, and as has been the usual practice was laughed off by prosecutors because the vicims were foreigners. So when I found that “iFOREX, S.A.” was a registered Panamanian company between 2006 and 2009, was it THE iForex? 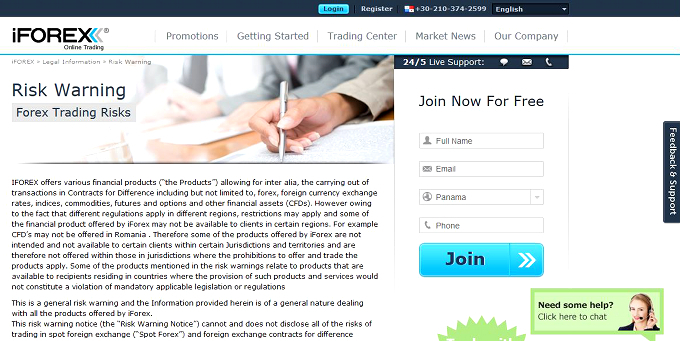 Then there was the December 23, 2013 Securities Market Superintendency (SMV) warning — oh so classically timed for when nobody would be paying attention — that “the company named BFOREX LTD, registered before the Public Registry of Companies in the British Virgin Islands, is not registered before the Public Registry of Panama, has not been issued any kind of license by the SMV, nor has been authorized to carry on activities of intermediation, administration, or advisory in securities, financial instruments or forex, in or from the Republic of Panama, within the scope of the Securities Law. But was it THE bForex for which I was supposed to look? In the registry, the one iFOREX, S.A. dignitary who did not seem to be some legal secretary was hard to trace beyond that. Was it a fictitious name? As the SMV pointed out, bForex never was registered here. But the registry has things like “B STOCKS, S.A.” and “B DERIVATIVES” that were organized by the same law firm that registered iFOREX, S.A., Troncoso & Asociados. Following these leads you get into rabiblanco personalities related to several Panamanian presidents and major movers and shakers on Panama’s Bolsa de Valores securities exchange. So, if the SMV put out a warning on BFOREX LTD because they were purporting to do business in Panama, a logical next step in the investigation would be to look at that file, to see who was representing them and from which physical address, telephone number, email address or website. Such things might cross-index with other things. So I went into the city, went down to the SMV, told the receptionist that I wanted to see the file, or at least find out the address and so on from which the warned-about company was operating, and was told to sit down. Not too much later a man expensively dressed and bejeweled as you would not expect a civil servant to be came out and told me that all SMV investigations are confidential and I couldn’t get any information. Actually, when you look at the law there is wide discretion about which information is public and which is not. You would think that if a public warning was issued, the details about from whence and by whom an illegal operation was being run would be in the public domain. Previous articleEditorial, A jihad without Americans?